Security Essen 2018 presented itself as the international source of inspiration for the industry. 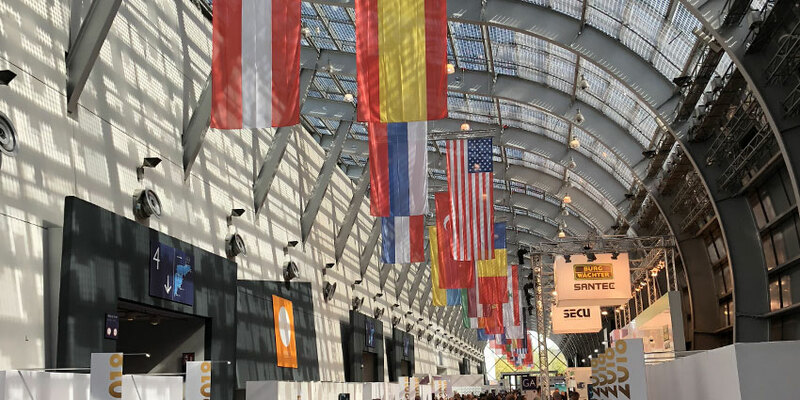 950 exhibitors from 43 countries showed their innovations for increased safety and convenience to over 36,000 trade visitors from 125 nations at Messe Essen on topics ranging from cyber security to innovations for building security and new solutions for the protection of valuables. The representatives of the companies, associations and institutions were in great demand as discussion partners. There was strong need for information and investment from trade visitors as a result of current events such as hacker attacks, challenges involving access control at airports, the still-high number of break-ins and increasing legal requirements. The exhibitors praised the significantly increased percentage of international visitors (eight percent up) and the strong decision-making authority of the trade visitors. "Security Essen has underlined its position as a trend-setting international trade fair for all aspects of security. We were able to welcome significantly more visitors from abroad – 125 nations, that's an impressive number", says Oliver P. Kuhrt, CEO of Messe Essen. “Protection – whether public or private, digital or analogue – is the central theme of our time. Our exhibitors provided answers to these challenges and presented trend-setting solutions. 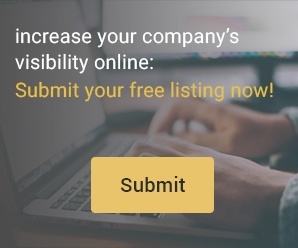 The high number of first-time exhibitors who showed their services to the specialist world indicates the importance of our trade fair as an independent platform for the security industry." There were more than 200 new exhibitors, including Hoppe AG, PwC Cyber Security Services and AEG ID. The trade fair attracted more than 36,000 professional visitors – predominantly including experts from industry, installers and participants from the security sector – who were characterised by greater internationality, a significant interest in new products and new business contacts as well as a strong willingness to invest. Around 40 percent of the visitors came from abroad (2016: 32). The 76 percent of visitors were decision-makers within their companies and one quarter prepared their investments at the trade fair or concluded contracts directly. After all, the economy is still excellent. Industry sales in Germany alone are estimated at around 17.2 billion euros – a two-year increase of 18 percent. 62 percent of visitors rated the economic situation in the security sector as good to very good. Over 90 percent were satisfied with their visit to the fair and want to recommend Security Essen to others. The relevance of Security Essen as a pulse monitor for the security industry was particularly evident in the numerous new products. Once again, the influence of digitisation became clear: access solutions are becoming smarter and rely on smartphones or biometric identification as keys. Artificial intelligence helps to evaluate video data faster and more accurately. Apps display unsecured windows in the smart home or help keep track of valuable contents of safes. The protection of data and networked access was an all-encompassing topic for numerous exhibitors and many lectures. The winners of the Security Innovation Award attracted a great deal of attention. Seven exhibitors were honoured with this award for their pioneering innovations. UrbanAlps convinced the jury with Stealth Key, a forgery-proof key from the 3D printer. The Jansen Tore burglar-proof sectional door with WK5 classification, which also received a prize, is especially secure – suitable, for example, for museums, hazardous material stores or military headquarters. Kötter Security received one of the coveted awards for the new emergency call and service control center, in which high-tech infrastructure and digital processes ensure the best possible customer security. Security Essen was held for the first time in the modernised halls of Messe Essen, which will set new standards once the final construction phase is completed in 2019. 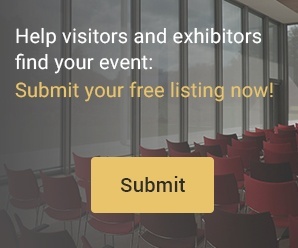 Spacious, single-storey halls, plenty of daylight, the new glass entrance area and new service facilities such as the Business Club have already delighted exhibitors and visitors. Security Essen also provided optimal visitor and exhibitor communication with a new hall structure organised according to exhibition areas. The guests of Security Essen praised the division of the fair into key topics. The exhibition hall for Cyber Security and Economic Security celebrated a successful premiere. Exhibitors such as the Federal Office for Information Security, Telekom Security, Advancis Software & Services GmbH and the newly founded Federal Association for Critical Infrastructure Protection (BSKI) presented here. Numerous campaigns and events relating to the actual trade fair events offered visitors genuine added value. Thus on the ‘Day of training and further education’, which was organised by the Federal Association of the Security Industry (BDSW) and Messe Essen, 300 participants of the security industry were provided with information on training possibilities and career opportunities. At the new Cyber Security Conference, Arne Schönbohm, President of the Federal Office for Information Security, spoke about cyber security as a challenge for politics, business and society. The computer scientist Jan Krissler, known as Starbug, was also a guest at the top-class conference. Gregor Gysi, member of the Bundestag of the German party ‘Die Linke’, discussed the economic importance of cash at the BMWL (Federal Association of Medium-Sized Value Logistics Companies) booth. In the security experts’ forum, practical experts designed a non-stop programme with more than 90 presentations. The guided tours were expressly aimed at architects, planners, installers, operators, authorities and employees of construction and planning departments and stopped at thematically suitable exhibitors. The organisers are already setting the course for the next Security Essen, which will take place at Messe Essen from 22 to 25 September 2020. The new thematic hall structure will be further expanded and the topic of digitisation will be explored in greater depth. Numerous exhibitors have already confirmed their registration for the next event. 88 percent of the visitors have already stated their intention to participate in Security Essen 2020. The fair is also taking a further step towards internationalisation: From 9 to 11 April 2019 ‘The Security Event - powered by Security Essen’ will take place for the first time in Birmingham, Great Britain. This cooperation between the British trade fair organiser Western Business Exhibitions and Messe Essen offers the European security industry a comprehensive platform for business in Great Britain. Over one hundred of the world's leading security brands are exhibiting. 950 exhibitors from 43 nations presented innovations in the field of civil security at Messe Essen. The projection for the last day of the fair estimated 36,000 visitors from 125 nations including conference participants, VIP guests, delegation participants and journalists (including FKM projection of 33.000). The proportion of professional visitors was 99 percent. Security Essen set up its own exhibition hall for cyber security this year for the first time, to us it was a logical step to come and present our products"
Current aspects such as ‘Security technology in the smart home’ and ‘Digitisation and cyber security’ were afforded a great deal of attention"
For the first time, the three security associations -BDGW, BDSW and BDLS – presented themselves together at Security Essen"